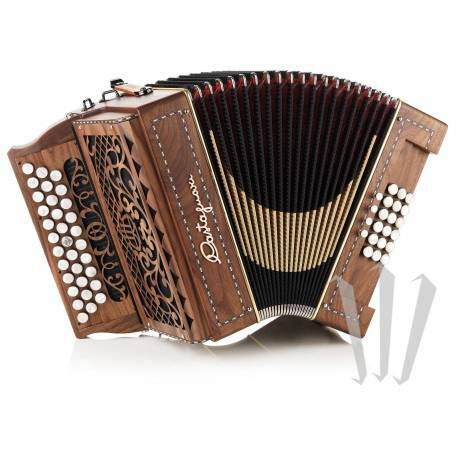 Top-of-the-range Castagnari diatonic button accordion with 3 rows, 3 voices, 3 registers (5 effects) on the right hand, 18 bass, 3 voices, 4 registers on the left hand. Closed keyboard, solid wood box (cherry, walnut or paduk). 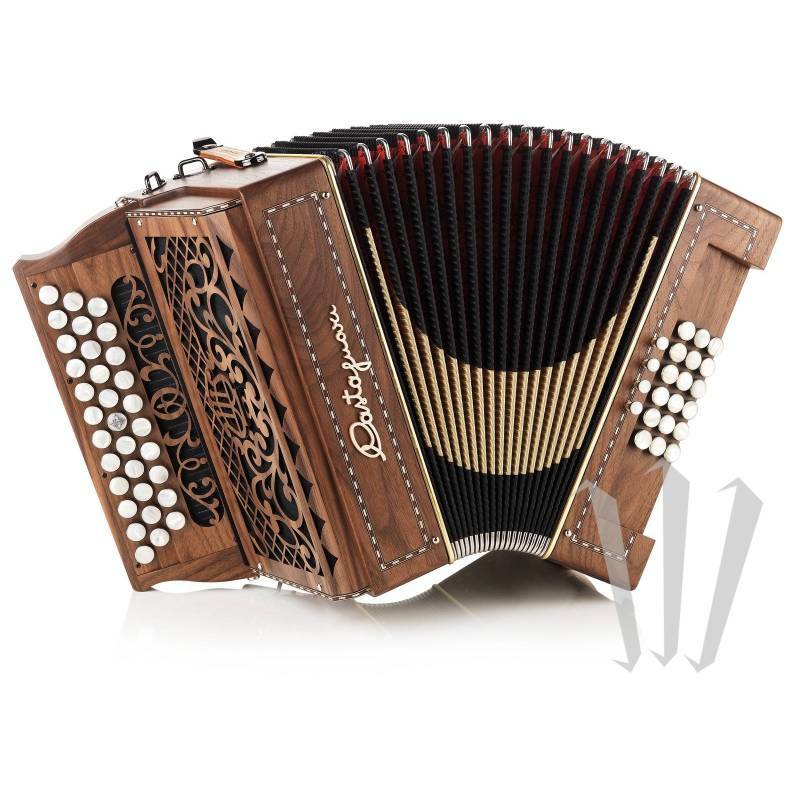 The Handry 18 accordion boasts premium "Tipo a mano" quality reeds.